Good employers are vital to ensure successful apprentices and apprenticeship programmes. The Cooks Apprenticeship Programme engages with many employers, in particular those establishments linked to the Cooks Company, the Livery movement generally, or the City of London. 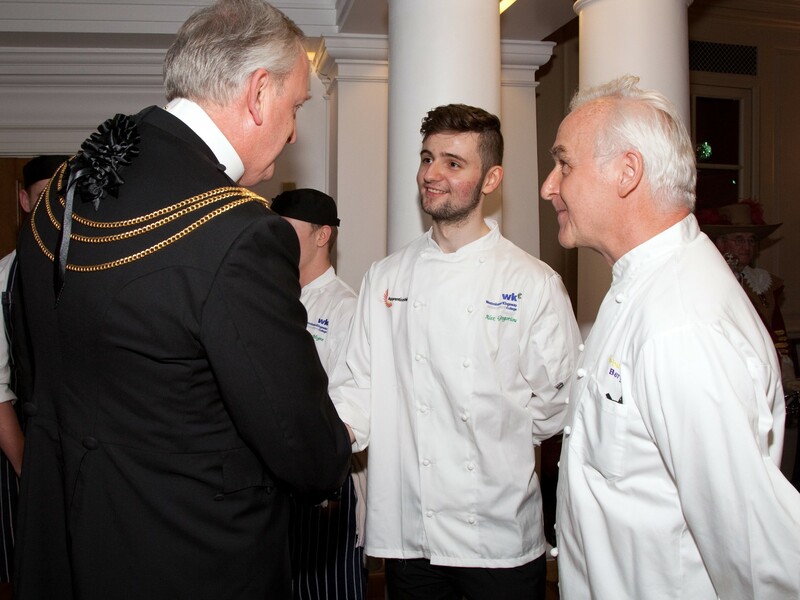 Peter Estlin, Sheriff of the City of London, talking with Alex Gregoriou L2 Apprentice at RAC, while Herbert Berger of Innholders’ Hall and Michelin Star fame ‘watches on’. Herbert is a regular supporter of Cooks apprentices at Innholders.